"Laugh at me now, cry for me later". 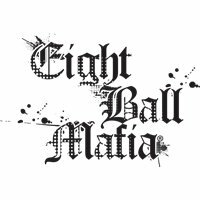 That's what you'll be saying to your opponents when you roll with the Eight Ball Mafia. Eight Ball Mafia pool cue cases feature grunge art deathscapes across their entire line. Flames, skulls, crossbones, brass knuckles and more adorn every 2x2 and 3x5 Eight Ball Mafia case. All Eight Ball Mafia pool cues feature a one year manufacturer's warranty against defects.